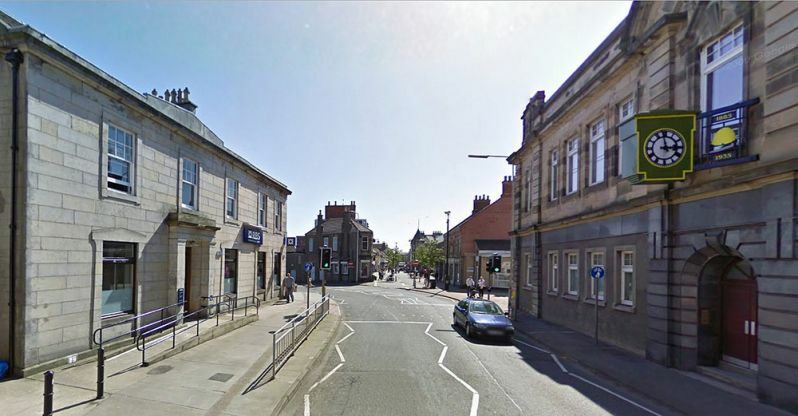 First, in terms of context, the forces bearing down on small town centres like Leven are immensely powerful, and they have been gathering momentum for decades. The crisis facing Scotland’s smaller town centres is not new but it has accelerated and intensified in the past 10-15 years. Understandably, physical works have immediacy which more complicated business or social projects may not have. 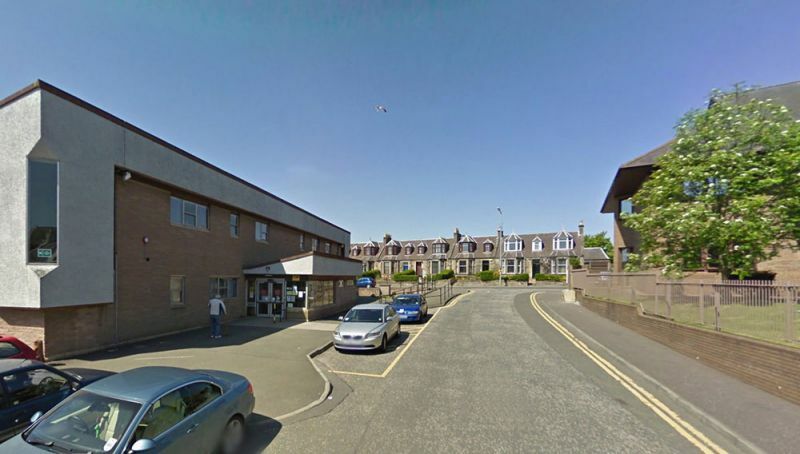 But set against the prospects of holistic improvements, physical works alone seem rather detached from the day to day issues in Leven. So what is the actual potential for physical change and how might this be approached? 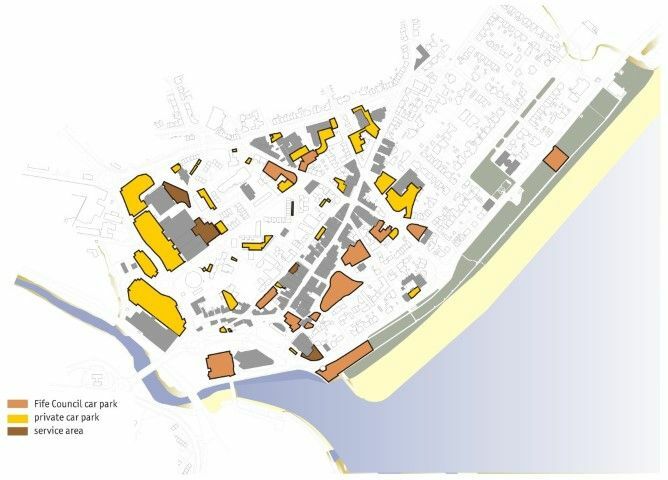 Our analysis of the qualities of the town centre goes some way to answering that. 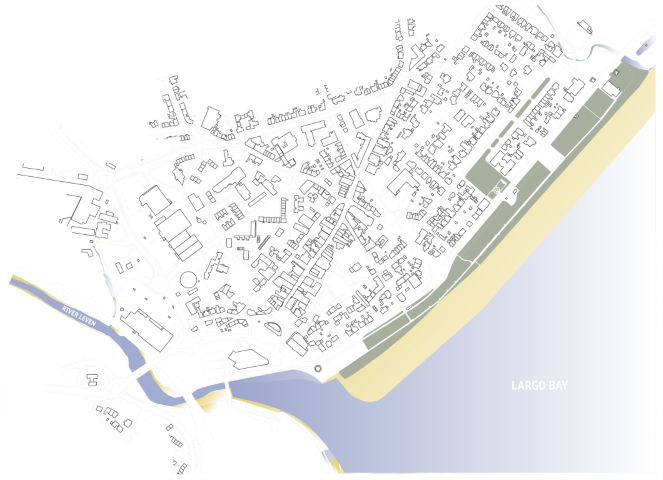 Despite enormous changes in the physical structure of the town, much of Leven town centre retains the distinctive form shown on the earliest maps. High Street is the traditional ‘parade’ of the town despite the developments at the Riverside Retail Park which have effectively enlarged the town centre. The traditional centre may not be as vibrant as it was in the 20th century but it is still recognisably an area with a distinct function. 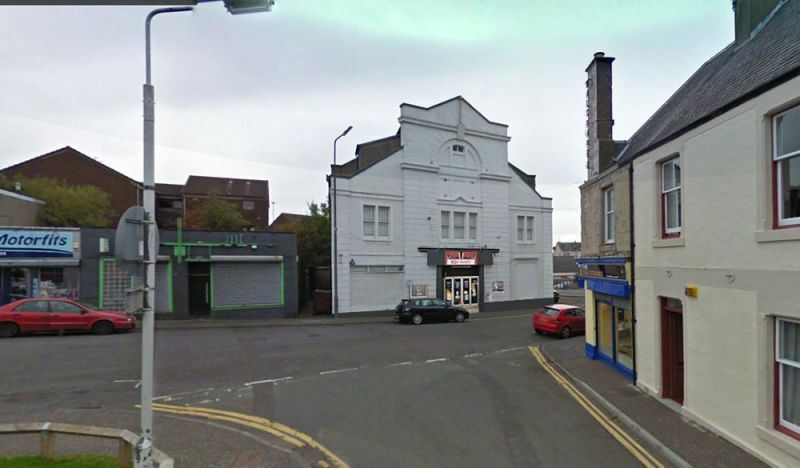 retailers traditionally claim that there is not (never) enough car parking and this seems to be the perception in Leven although this is also conflated with questions about accessibility to High Street. 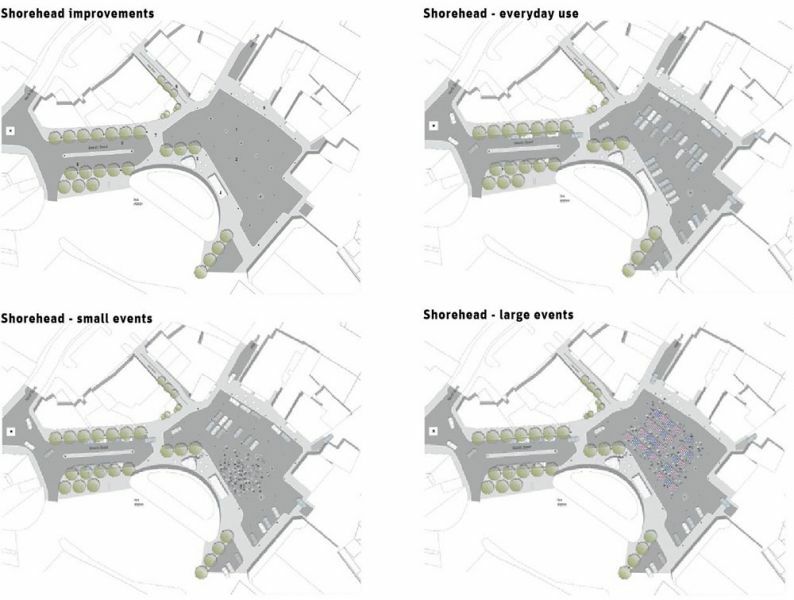 car parks are also social spaces up to a point and they can provide opportunities for meeting up, recycling and functions other than their original intended use. 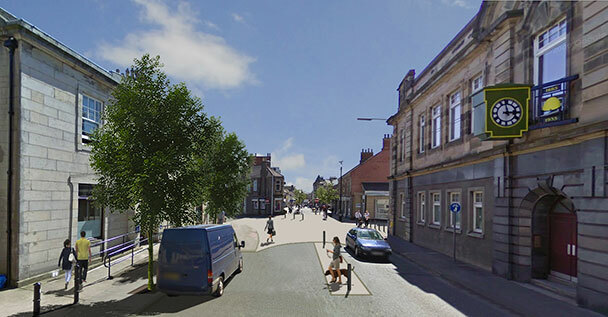 In a different economic environment, there might be pressure to develop the car parks that are on North Street and South Street as a way of bringing more beneficial uses into the town centre but this not particularly realistic at the moment. In time, it might be feasible to develop some of these for residential development but alternative parking arrangements would have to be made in most cases. The allure of Largo Bay and the wonderful beaches and views are unchanged although the promenade itself has lost its role as a focus for visitors. 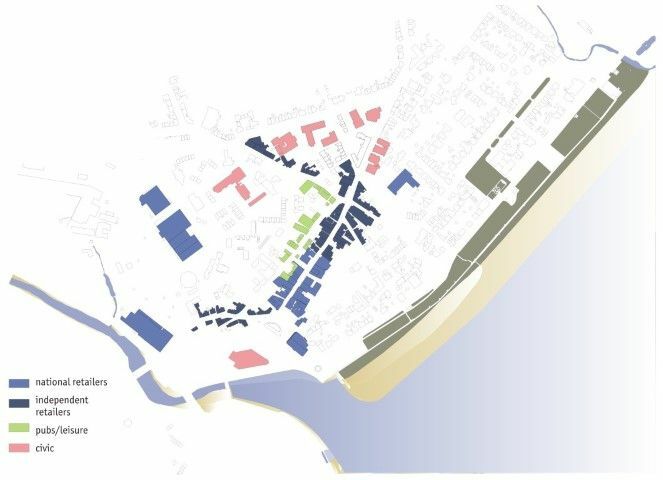 The bus station has given a new role to Shorehead which seems ready to play a more positive role in the civic life of the town. 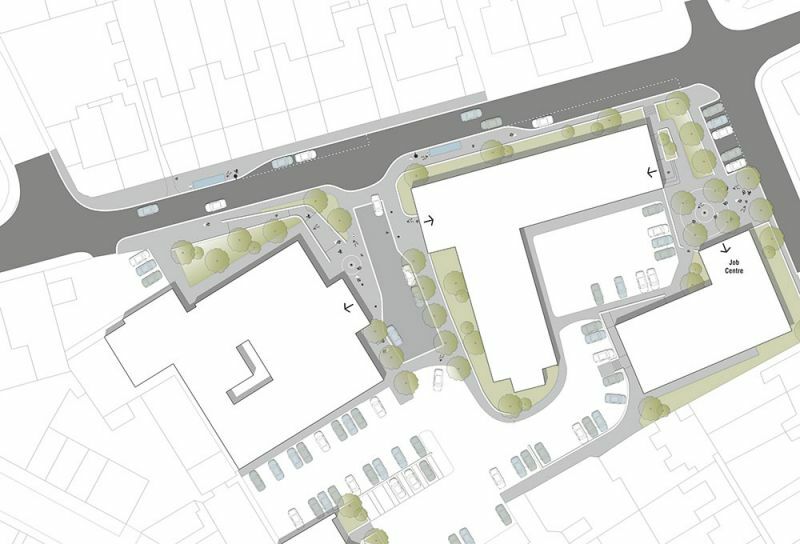 The Riverside Road Retail Park has certainly created a new series of focal points and places but there is a sense that the quality of the environment created is not suited to the users – whether in car or on foot. Leven town centre presents itself as a reasonably positive place. In common with so many other towns in Scotland the negative aspects are related to the quality of new development as well as the volume of road traffic and the scale of road engineering designed to cope with it. 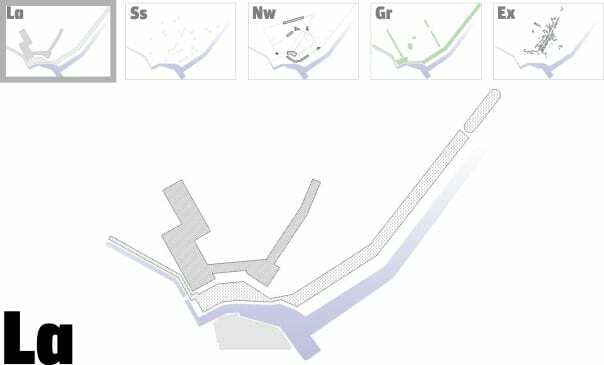 The spatial issues in Leven are largely those created by interventions in the last 50 years. 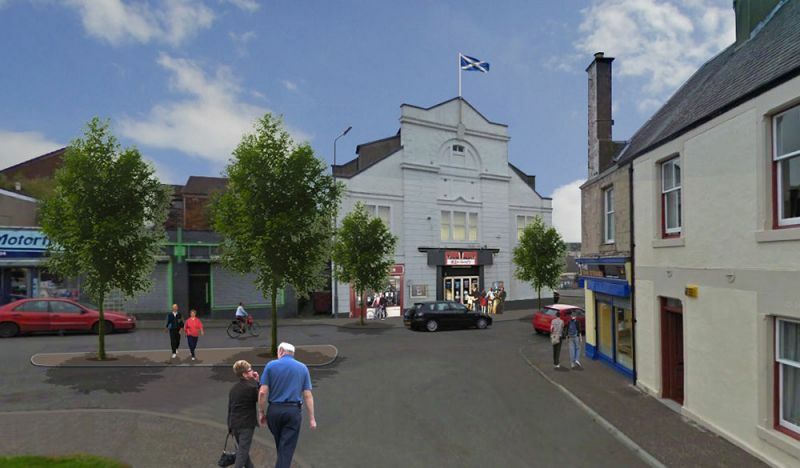 In approaching the task of creating a concept design for Leven town centre in accordance with the brief we were in no doubt that this was a very difficult task. 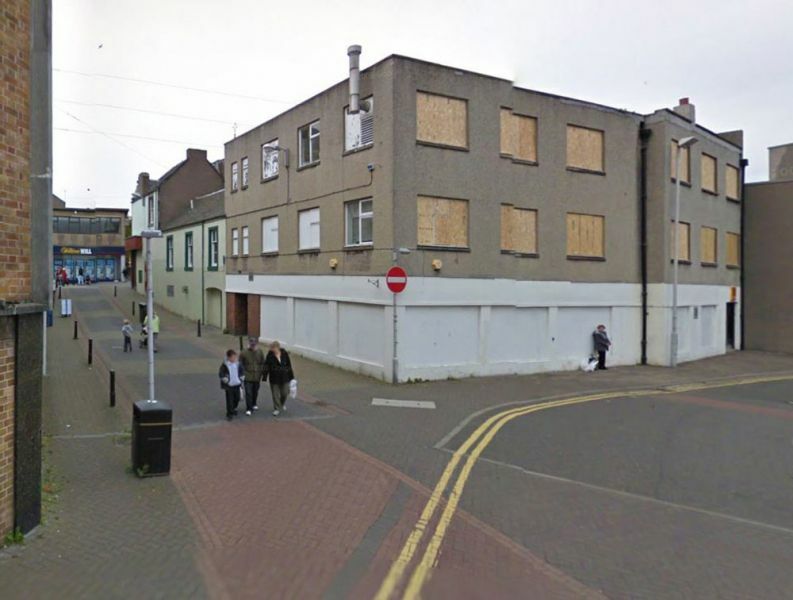 Scottish towns are full of expensive and well intentioned public realm design that often does little to enhance the life of the town or the health of its centres. Places that have been successful in finding new roles or that have regenerated themselves or where public realm design has been successful tend to be reasonably successful places anyway or of a different scale to Leven – Buchanan Street in Glasgow, the Royal Mile in Edinburgh, much of Perth city centre. 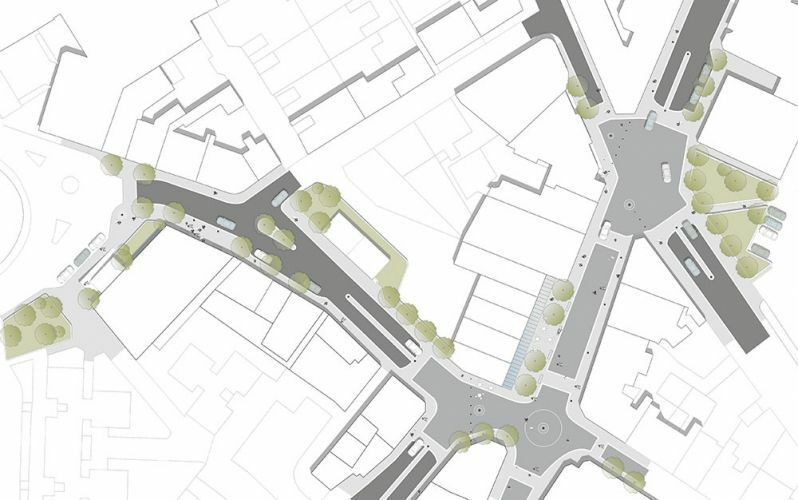 Simple physical design of a new public realm is not an answer. Similarly many of the ideas that the public generate themselves are not the answer either – there is no simple route from gathering opinions to solving what is after all a national problem. Hanging baskets do not represent much of a way forward in real terms. 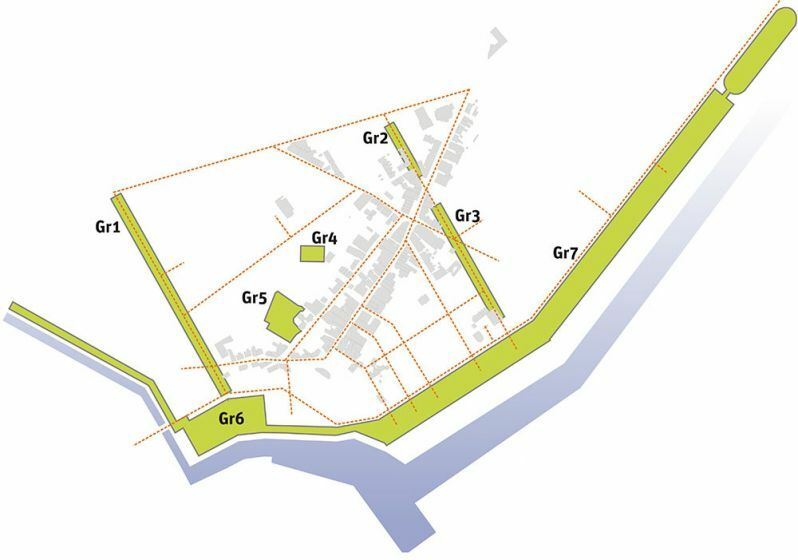 It is appropriate to deal with these as two elements first as they are the biggest physical assets in the town and the most mentioned areas in consultation and reports. They are also two of the main areas in which the civic life of the town plays out. To many people, these areas are Leven though there are related areas that are as deserving of improvement. The Parade area is a substantial part of the town crossing many different character areas – from the rather bleak car-orientated environment of Riverside Road at its junction with Hawkslaw Road (at the former Cooperative Store, running down Riverside Road past Sainsbury’s and on to the smaller scaled environment of Bridge Street and Branch Street then Shorehead, before merging into High Street itself. 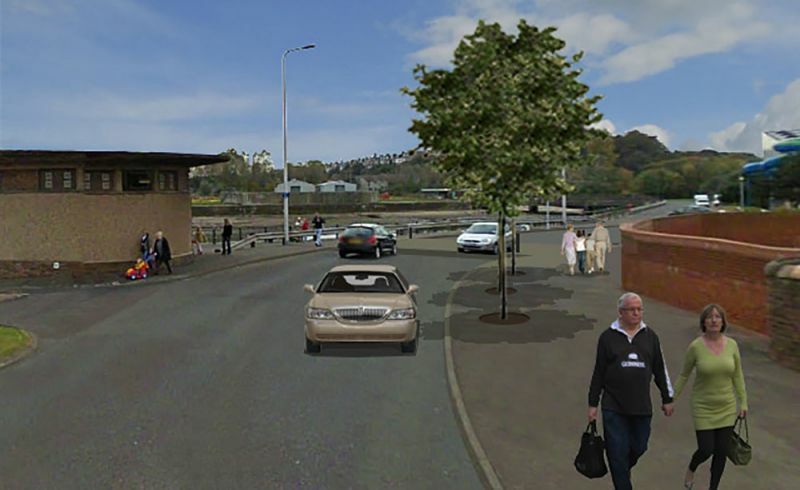 Many people raised the issue of better and more obvious connections between the traditional centre and its newer neighbours along Riverside Road. The point here is not to enable people to walk comfortably along the entire length of the retail area but to give this disjointed area more content and activity with more reasons for people to be there. It might also be possible to develop a new image around this multi-faceted retail strip. 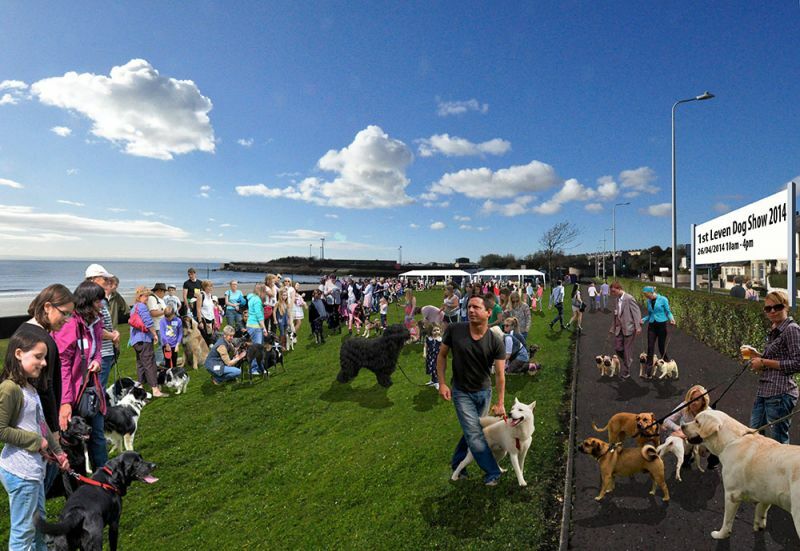 The Promenade was originally the big attraction in Leven. It is an expansive and natural landscape that forms an attractive, open and airy contrast to the dense, built up heart of the town centre. The seafront is a popular destination for residents who take the opportunity to walk along the 2km beach, take in the fresh air and enjoy views south over the Firth of Forth and beyond, to the Lothian coastline and Bass Rock. In the early twentieth century, like other seafront towns, Leven was a popular destination for beach holidays. A broad range of entertainments were provided, including a fair which set up each summer on the Promenade green space. Today, changing tastes mean that traditional seaside holidays are less popular and residents talk regretfully about the decline of a once important attraction for the town. 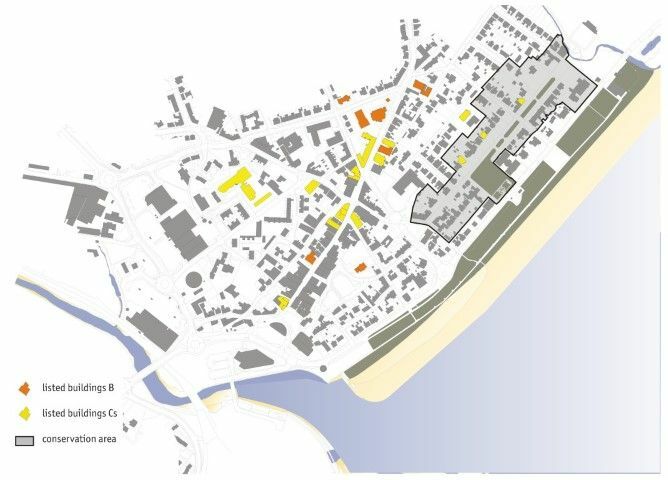 The role of the seafront needs to be rethought, and a new purpose and identity established. 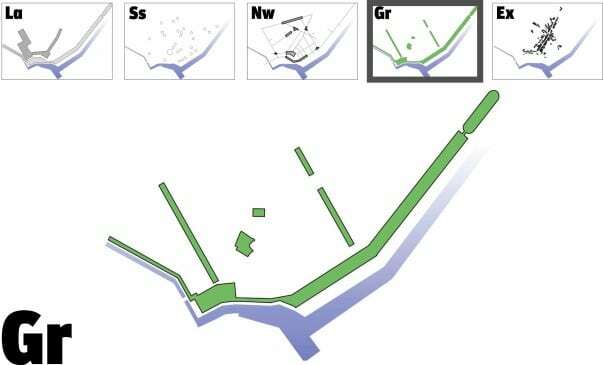 In particular, more emphasis could be placed on its role as a natural area to create a generally more attractive, unique and authentic landscape setting, inspired by and related to the much loved wild shore landscape. It also underplays its potential for events that express the civic life of the town and so a combination of restructuring and reprogramming of the area is a priority. 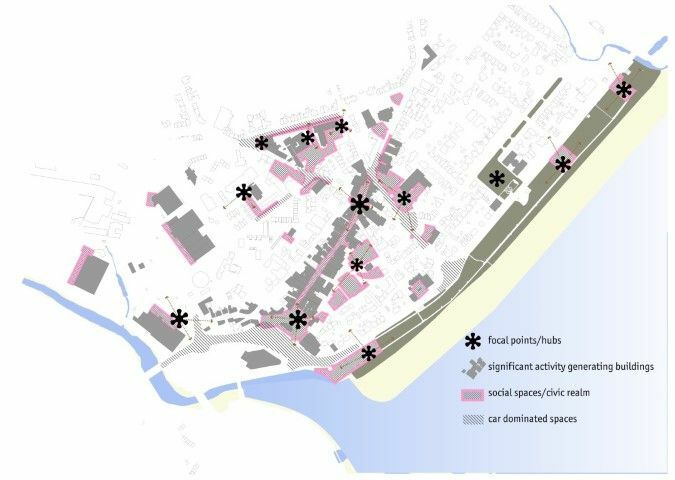 One of the themes that came out of the drop-in workshop and the Charrette Plus event was the need for more organised events and activities in the public realm. As a starting point for a strategy this has a lot of appeal – a town centre with more activity, more active spaces and a sense that something is happening is a better place, regardless of its physical quality. This theme gives preference to content over form and enables process rather than trying to fix microplace outcomes. 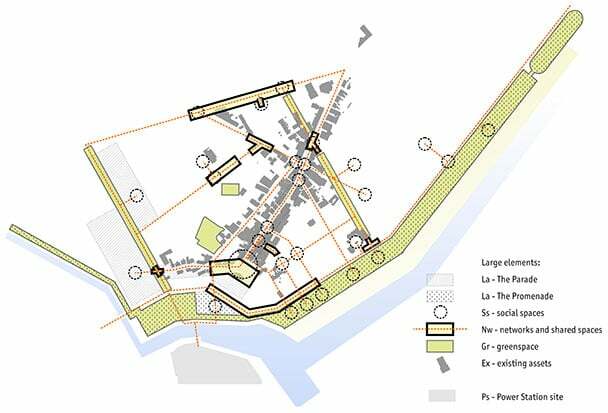 As discussed in Chapter 4 – Analysis, the varied nature of street layouts, linkages and connections in the town centre suggest that some areas perform better than others. 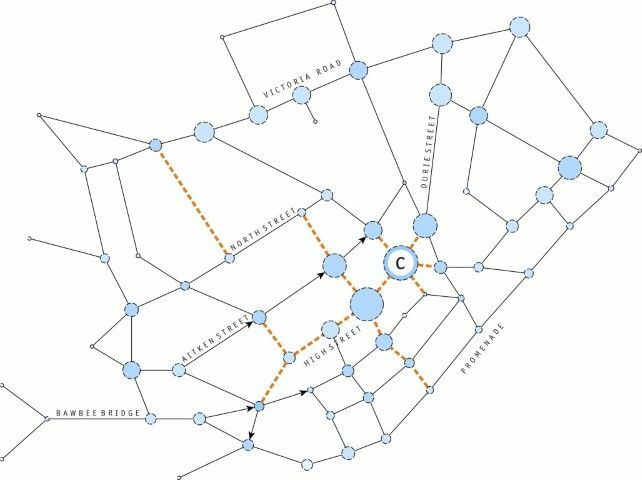 These networks actually define the functional relationships of the town and in pedestrian terms, the traditional areas of the town provide a dense network of connections whereas the more contemporary parts of the town have a less dense network with fewer nodes and social spaces. 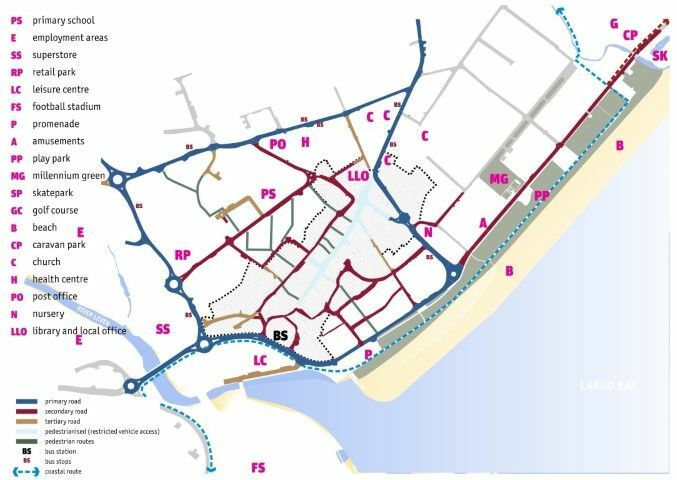 The town centre network is of course also used by vehicles and there are areas in which their dominance is a negative feature of the centre. 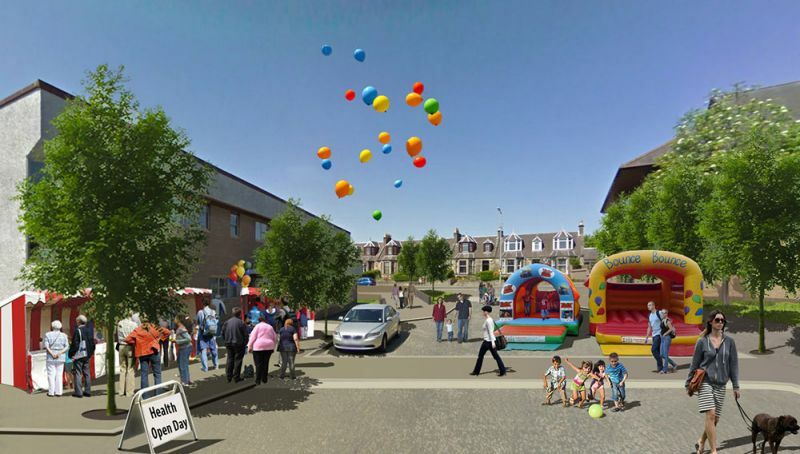 The Scottish Government’s publication Designing Streets sets out a series of interventions aimed at reducing the impact of vehicles on areas where pedestrians should have priority and this theme adopts a number of these at key locations throughout the town centre. 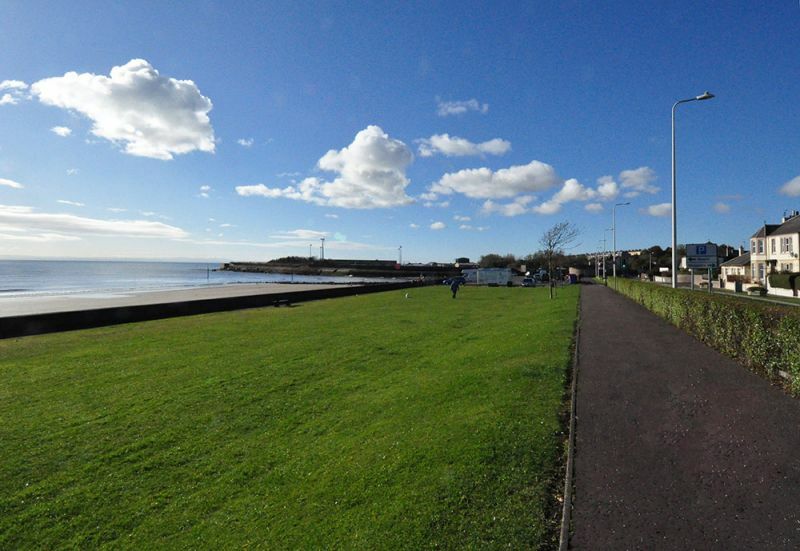 Leven has very little greenspace in and around the town centre apart from the extensive area of the promenade. This was raised by the public during the Bawbee Bridge Charrette Plus event. The absence of green space is not simply a desire for more trees, landscaping or flower beds – although these are important. 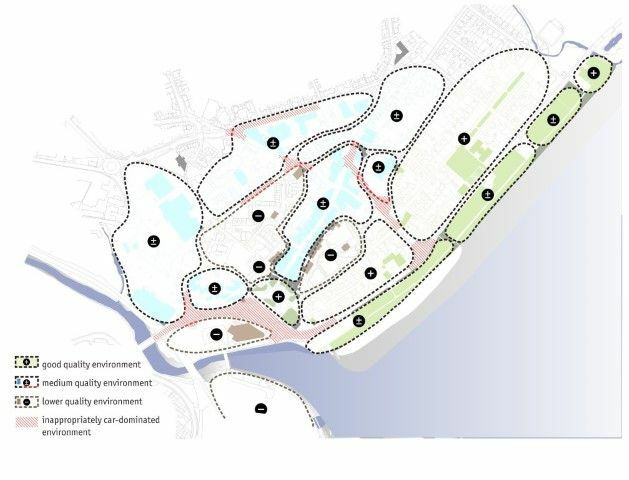 It also has a broader meaning and agenda to do with productive landscapes, using green spaces as part of the town’s social infrastructure as well as providing opportunities for health and well-being through play and opportunities for wildlife diversification and biodiversity. 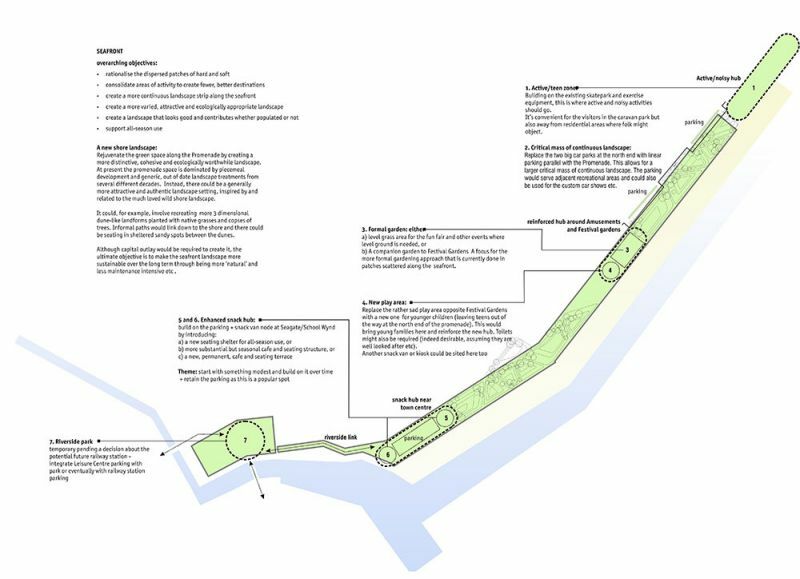 The promenade can provide much of this requirement but in areas where people live and in the dense and hard urban spaces of the town centre, some relief in the form of trees would be worthwhile. The town centre of Leven has many strong assets. The core of the traditional centre has a network of streets and buildings which, though run down and shabby, could form the basis of an alternative approach in which conservation, reuse and sustainability play a more prominent role. In addition to the physical and visual benefits of retaining older buildings and street patterns there are potentially other positive benefits deriving from making the most of cheaper property as a driver for new businesses in the town centre, using heritage as an additional marketing strategy and developing skills in traditional building and construction. All of these could contribute to employment generation and a new sense of civic pride and community involvement in the fabric of the town centre. 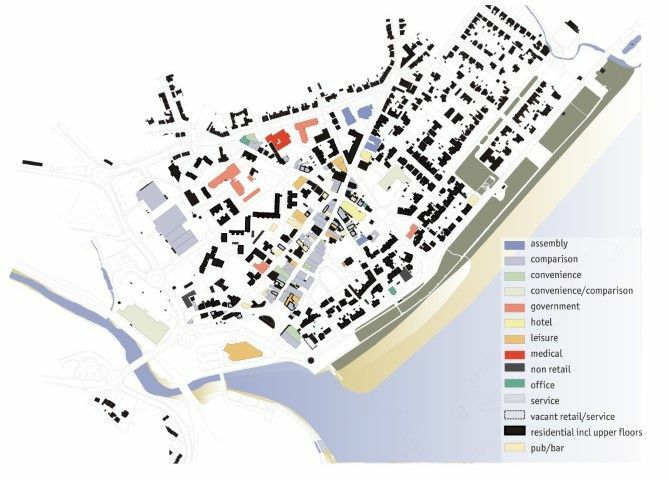 The diagram above shows the five themes combined into the strategic concept for the town centre. 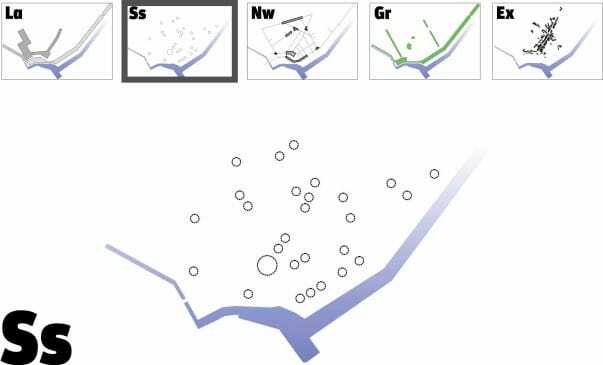 The diagram also shows the locations of potential projects under each heading although this is not a finite collection of proposals. Rather these are the themes under which a range of proposals should be pursued. 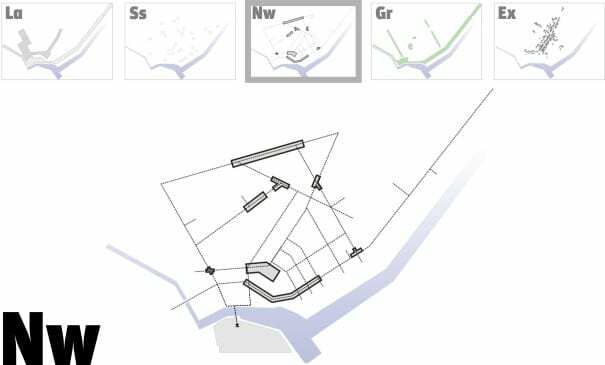 There are overlaps between different elements but these simply reflect the complexity of the town centre. 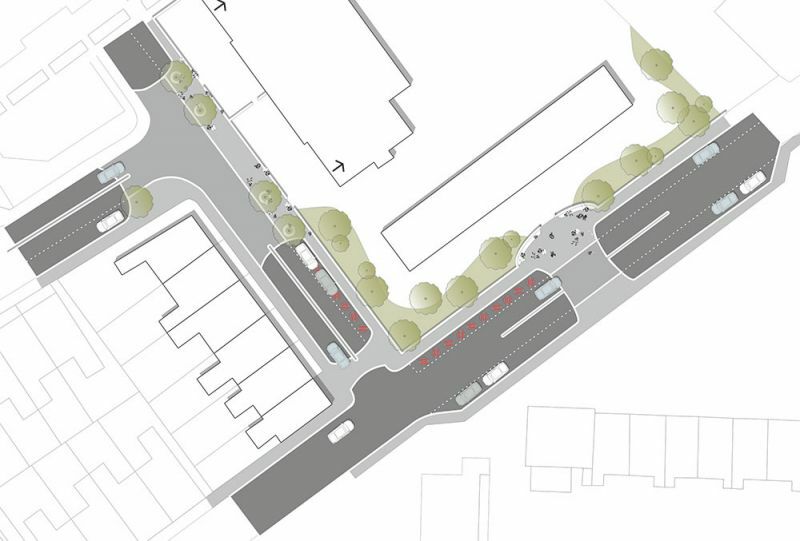 Understandably, there is a strong desire in the client group for the study to produce capital projects for physical improvements in the public realm. 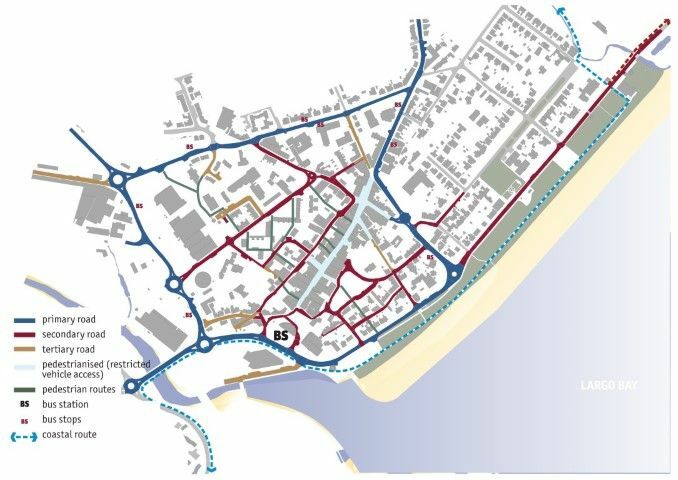 We have created two major projects – the Parade and the Promenade – and over forty related smaller projects all of which require capital expenditure ranging from major investment to minor change. 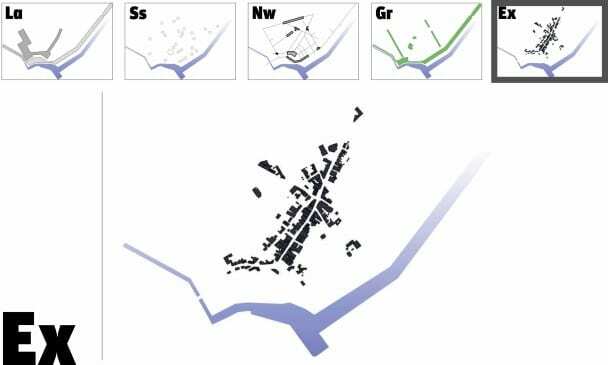 A range of the proposals are shown below. 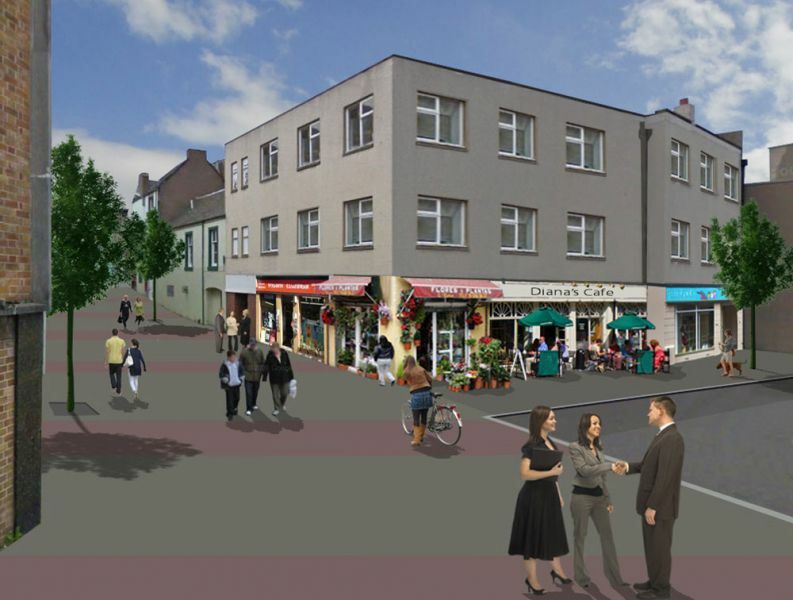 The Leven Town Centre Concept Design Study has been well received by Fife Council Officers and will be used to inform development and seek external funding investment into the town. 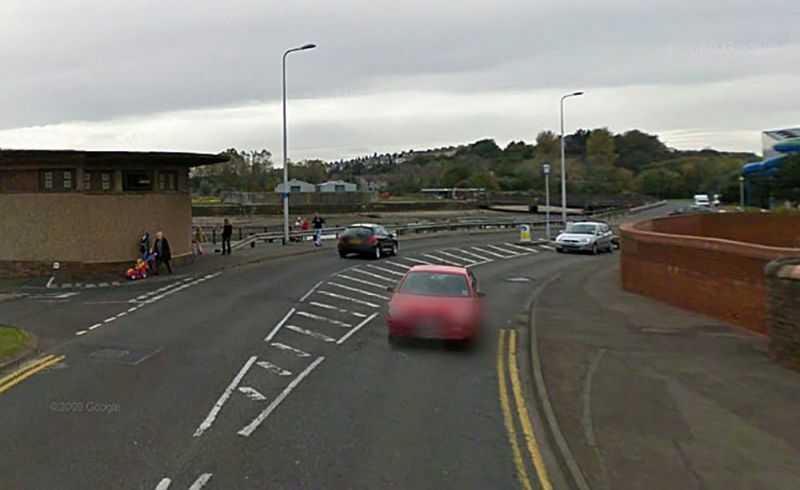 Its recommendations will be presented to Fife Council in April/May 2014.